From September 21st to September 24th, 2018, Ecobulles Aube – Yonne will be at the Salon de l’Habitat in Cube Troyes Champagne Expo. 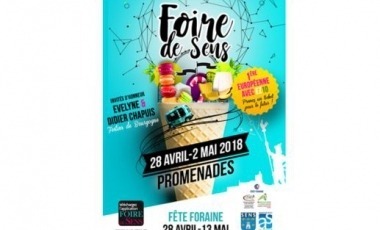 April 28 to May 2, meet the Eocbulles Aube-Yonne team at the Sens Fair, boulevard du Mail. Find out here about feedback from our users’ experience with our Ecobulles CO2 injection scale treatment system in Aube and Yonne. Present in the water treatment industry for over 20 years, I was in the search for an ecological and efficient system against scale. I tried out several processes but the results were disappointing. One day, a customer equipped with a water softener told me about his decision to install an Ecobulles system, because he was already using one professionnally for his vineyard. I started to get information about the process and I discovered a wonderful product that combined unquestionable efficiency and ecology. From there, a partnership was born.